6 juni, 2012 Säg något! Woooh! I’ve been playing this whole damn day! Since it’s a holiday in Sweden, I made the most out of it. And since I hadn’t played something in a while I decided to go with Dante’s Inferno. I played through the whole game in one sitting, only took two breaks to visit the toilet, no other breaks of pauses. And that felt so damn great! Feels like it’s been like forever since I did something like that, but then again I wouldn’t have done that if I didn’t enjoy the game. I don’t think it’s just because it’s a hack ‘n slash game, since I’ve played a few other GOW clones and never really got the feeling that they felt like GOW, but then again. Perhaps I shouldn’t complain about that I like GOW and I like DI they are both good games, too bad we’ll probably never see a Dante’s Inferno 2. If you like games like God of War I highly recommend you give this one a try, it’s made by Visceral Games know for the Dead Space games. 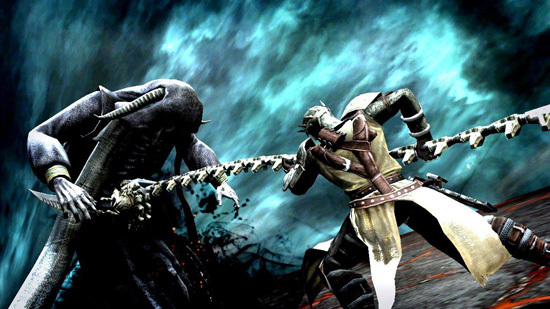 I honestly like Dante’s Inferno more than Dead Space series. Well, I haven’t played DS2 yet. I’m saving that for Halloween so we’ll see what I think then. Either way, it a fun game and it’s fast paced battles are great.